For the purpose of standardization, the preferred rated voltages of three phase induction motor shall be in accordance with IS 12360: 1988. The voltages for three phases, 50 Hz motors are: 415 V, 3.3 kV, 6.6 kV and 11 kV. Note that these ratings do not correspond exactly to the standard ANSI C84.1 (Ref. 16) nominal system voltages of 480, 600, 2400, 4160, 6900, and 13,800V. Instead, each of these ratings is roughly 4 percent lower than the nominal system voltage. The reason for this is to provide some allowance for voltage drop. 6.6 < Voltage < 11 for and up to 1000kW. This is the voltage rating given by IS-325 Three phase induction motor Specification but this cannot be followed in all cases as there have been cases where motors of 150kW being supplied by 415V and 160kW to 4500kW being supplied by 11kV.Now here comes the application of motor in picture & the load torque requirement of the concerned motor. Torque developed in Induction motor is directly proportional to the square of EMF induced in rotor. At standstill the EMF induced in rotor is almost equal to applied voltage to stator and in running condition the EMF induced in rotor is slip times the applied voltage to stator. If concerned Motor is used as compressors for chillers or any application which does not require very high starting torque and is of say 400kW then whether we have more voltage or low voltage that does not matter. So we can use either 11kV for this as given by IS or even contradict it and use 6.6kV.For 11kV supply voltage will be less compared to 6.6kV supply but in both cases the load torque requirement will be met. But if the same motor is used as a grinder motor in a refinery or any high starting torque application then you cannot feed it with 0.415kV supply as load torque requirement will not be met. We will find that load torque requirement is met at 11kV. Because of more voltage requirement load torque requirement was not met at 0.415kV so next higher voltage level was selected even 6.6kV would have done if available. Now question is how to find load torque requirement? If electric motor is driving any pump/compressors then the load torque characteristics of pump/compressor is prepared by mechanical engineering department and electric motor vendor gives his load torque characteristics for required kW at a particular voltage level. Electrical department matches the two characteristics if found not matching then other voltage level is selected whose load torque characteristics matches. – 1 – Manufacturing feasibility with respect to costing of motor. (For low kW HT machine insulation cost will be more. So more money is required.) Transformers with large motors connected, 25% – 100% of the ONAN rating, need special evaluation. The voltage drop on the system during starting must be calculated balancing the impedance of the transformer and inrush of the motor to best match the voltage drop and short circuit needs of the system. In addition the transformer manufacturer may need to enhance the internal bracing of the transformer to accommodate the shock loading as a result of the motor starting current. – 2 – Load torque requirement. HT motor has high Starting torque because of more voltage. So load torque requirement or application has to be studied. – 3 – So depending upon application we deviate from IS codes in this regard. – 4 – So we define motor utilization voltage in our DBR at the starting of project keeping in mind the above mentioned points. Why anti condensation heating or space heaters are employed when a three phase induction motor is not under operation? Often the motors are kept in a store for some time or they are transported under very damp conditions and in such cases, the insulation resistance generally becomes low and it is dangerous for the motor to he connected up before the condition has been rectified. IEEE 43 places special emphasis on determining the insulation condition of such machines before energizing and even before conducting a high-voltage test. This can be determined by the insulation test as noted below. Insulation resistance of the windings is a measure to assess the condition of insulation and its suitability for conducting a high-voltage test or for energizing the machine. A low reading may suggest damage to the insulation, faulty drying or impregnation or absorption of moisture. The insulation resistance may be measured according to the procedure laid down in IEEE 43 between the open windings and between windings and the frame by employing a direct-reading ohm meter (megger). At the site, when commissioning a new or an existing motor after a long shutdown, it must have a minimum insulation level according to the above equation. An 11 kV motor, for instance, must have a minimum insulation of 12 MΩ. In normal practice, it is observed that when first measured the resistance reading may show more than the minimum value and may mislead the operator, while the winding condition may not be adequate for a high voltage test or an actual operation. One must therefore ensure that the winding condition is suitable before the machine is put into operation. For this purpose, the polarization index (PI), which is determined from the insulation test data only as noted below, is a useful pointer. 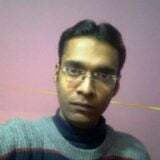 It must be evaluated at site while conducting the insulation test then compared with the manufacturer’s reference data for the machine to assess the condition of insulation at site and its suitability for operation. This is usually a site test, but to establish a reference record of the machine, it is also carried out at the works on the completed machine and test records furnished to the user. If the measured insulation resistance of the motor is less than 1 MΩ/kV with a minimum of 1 MΩ when the machine is cold, it should first be dried out by anti condensation heater before full voltage is applied to the terminals of the motors. hi everbody . would i know about requirment space heater for LV motors/ Where it is specified as IEC or etd? I have a 1 HP , 1100 RPM , 60 HZ motor. Is it possible for me to increase the HP of the motor to say 2HP but maintaining the SPEED of 1100 RPM at 50 Hz. 11kv motor will using how much insulation . What are the various types of transformers. 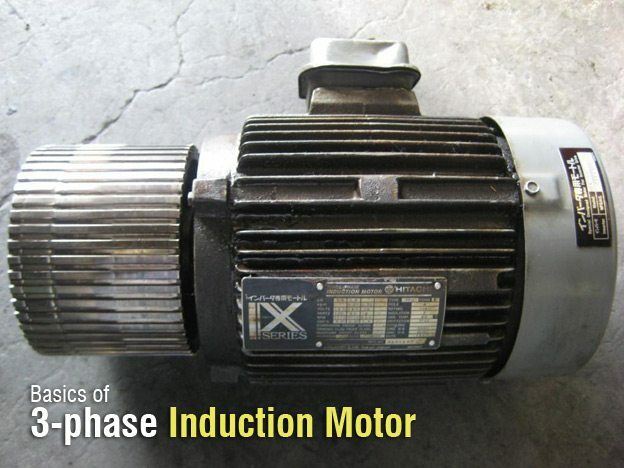 Is it possible that 3 phase induction motor will start with 2 phase supply? reason?